Analysing flight data to show the hundreds of federal planes spying on American citizens. 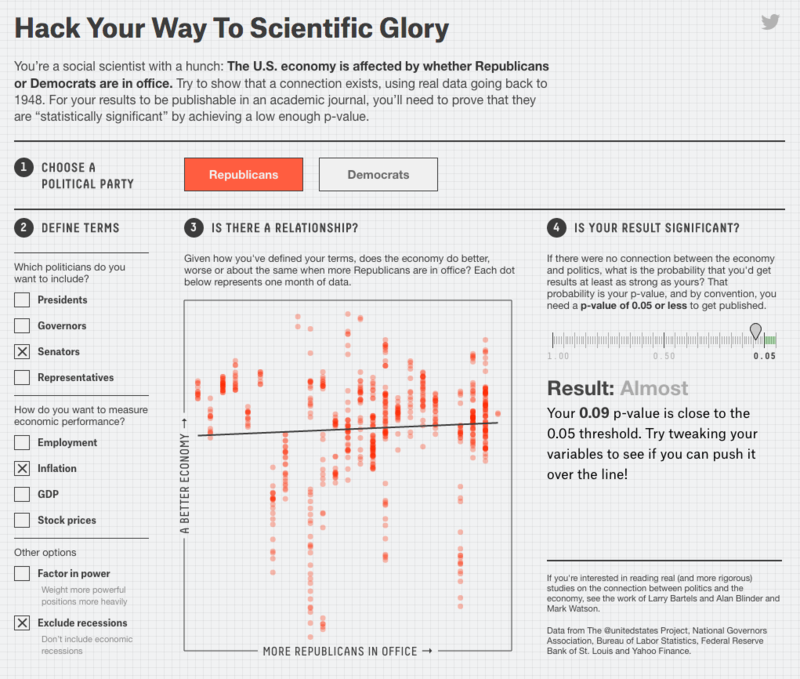 See what it’s like for scientists to prove statistical significance by "p-hacking" on your own. 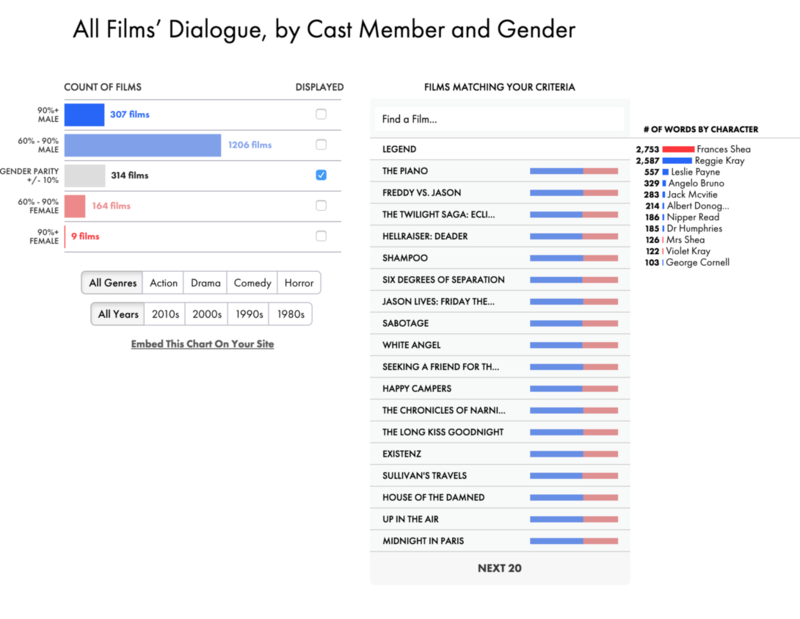 2,000 screenplays broken down by gender and age. 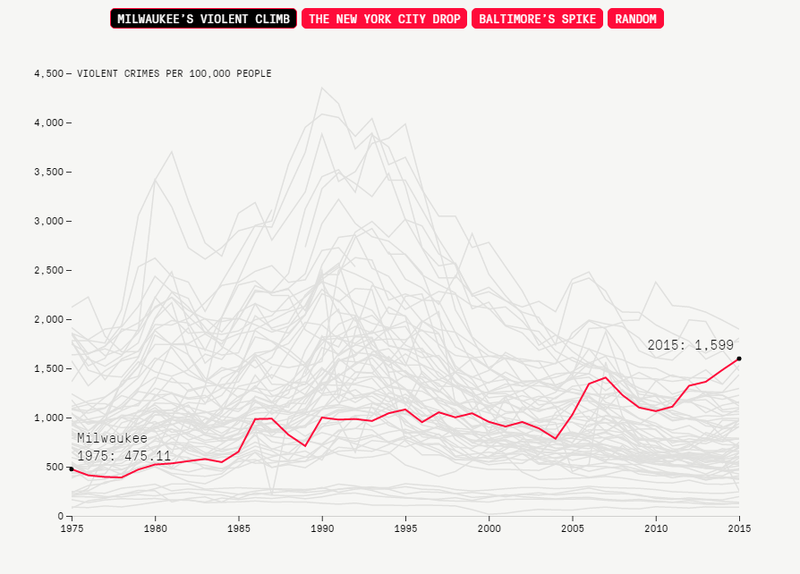 Is crime in America rising or falling? 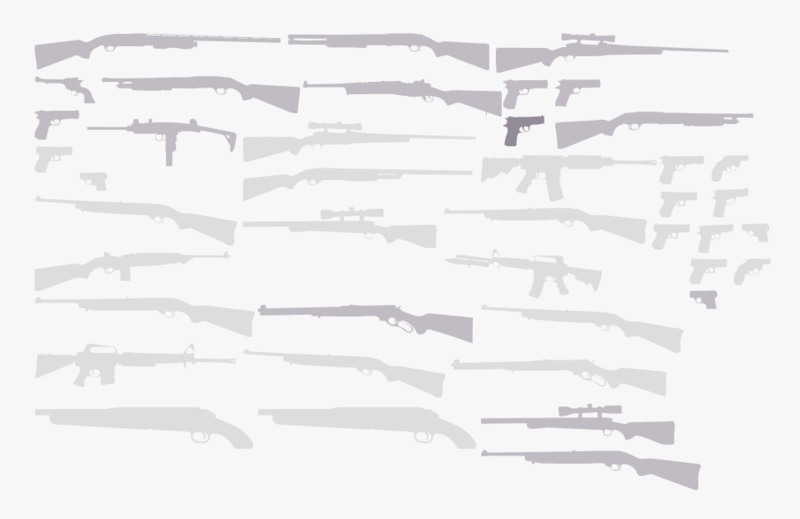 The deadliest mass shootings of the past 50 years, visualized. :: View the winners of other categories: Data Visualization, Infographic, Dataviz Website, Dataviz Project, Interactive, & Special Awards.